Fun, Sun, and some unforgettable San Francisco views! The ultimate experience that no club, hotel, or land entity could possibly offer! 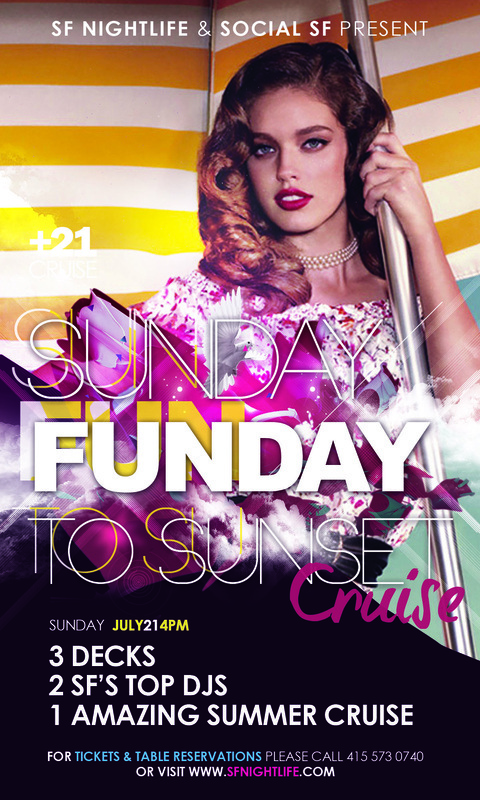 The only way to catch the true spirit of San Francisco Day party is to embark on the Sunday Funday to Sunset summer cruise. Take a 3 Hour Cruise aboard the Fume Blanc of Commodore Cruises a 4 million dollar luxury yacht. It is an exact Hudson Riverboat Replica with 3 floors, 2 DJs, and amazing views of the Bay Bridge, Golden Gate Bridge, Nob Hill, Alcatraz, and the spectacular San Francisco Skyline. 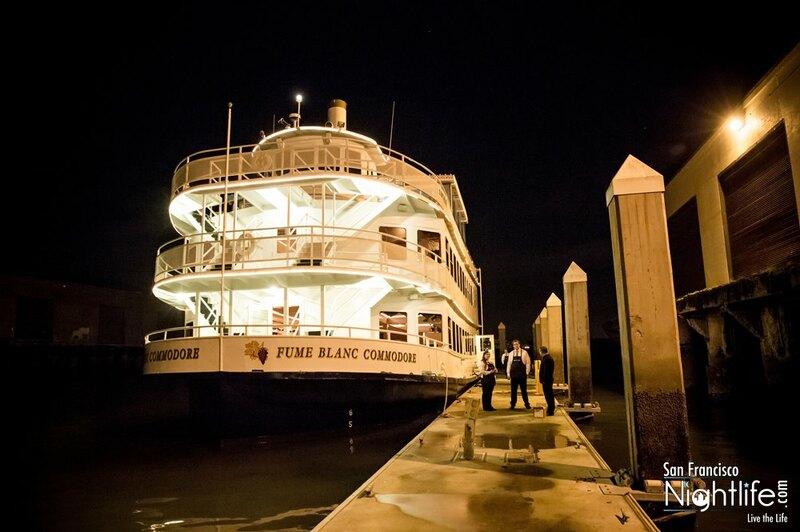 From Memorial Day Weekend in May to the end of September you'll have the chance to board the Fume Blanc Commodore and enjoy an entertaining cruise like none other. Get your tickets now and prepare for an experience you won't forget, but will most likely want to indulge in again. Invite your significant other, and/or your entourage of friends and create the ultimate experience that no club, hotel, or land entity could possibly offer! Near AT&T park, NOT by Per 39.